‘Mike7?? ?’ You say? I haven’t discovered his actual name yet (I think it’s Mike Hoho but not sure) but he deffinitely needs a mention in my J’adore! Take a look at this sweet piece of typography and tell me what it reminds you of? (HINT: my header) Yes, that’s right! This is like something that was about to come out of my brain but then I realised it had already been done! It’s beautiful! 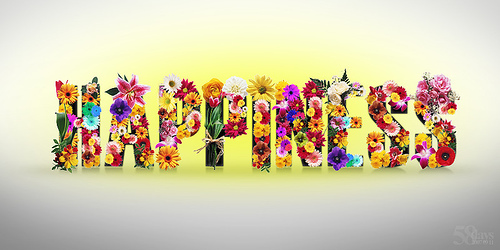 Mike7 has also applied this floral collage style to the word happiness (below) but I’m not so much of a fan of this one. I think it could be the use of uppercase letters making it too bold possibly? 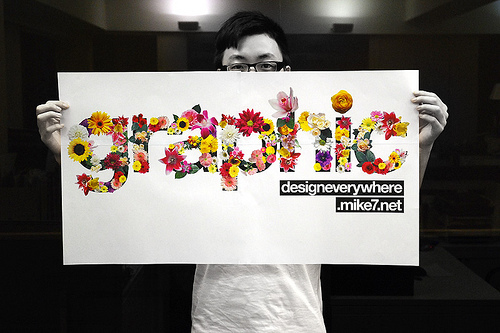 Mike7’s flickr can be found here and his website here. Next Post Relight My Fire!